On Thursday, Blockbuster Alaska announced that the rental chain&apos;s last two Alaskan stores will shut down on Monday with liquidation sales to follow. 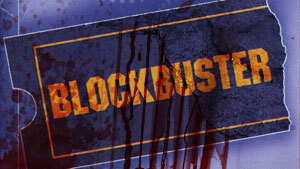 The news means that only one Blockbuster store will remain in the United States, in Bend, Oregon. "We hope to see you at our stores during the closing, even if it’s just to say &apos;Hello,&apos;" the final two shops&apos; managers posted in a Facebook announcement on Thursday. "What a great time to build your media library and share some Blockbuster memories with us." In its report, the Anchorage Daily News confirmed with Border Entertainment, a Texas-based holding company that operated all of Alaska&apos;s Blockbuster stores, that closure plans had been in the works before the end of 2017. At that time, Border decided to stop renewing any Blockbuster store leases, resulting in a series of closures across the state over the past nine months. Though the video rental chain languished in the face of rampant streaming and online-sales competition, Blockbuster stores had a different lease on life in Alaska, where network deployment has proven expensive and reliant on government subsidies—and has resulted in high, per-megabyte costs and cries of possible monopolies. Border told the ADN that its remaining Blockbuster shops were still pulling a profit as of press time, though that profit had been declining. Non-Alaskans may best know these soon-to-shutter Blockbuster stores thanks to a Last Week Tonight stunt in which host John Oliver sent Russell Crowe memorabilia (including a used, $7,000 jockstrap) to the stores in April. Border owner Alan Payne told the ADN that he planned to ship all of the items "back to the owner, which is fine, because I don&apos;t want a jockstrap in my house." While Blockbuster may be down to only one American shop—whose owner in Bend, Oregon, spoke to the ADN in its report—other, independent shops have continued coming up with ways to keep video, DVD, and Blu-ray stocks available to the public, including shifts to non-profit status and educational efforts. Published on Fri, 13 Jul 2018 18:25:28 GMT, © All rights reserved by the publisher.